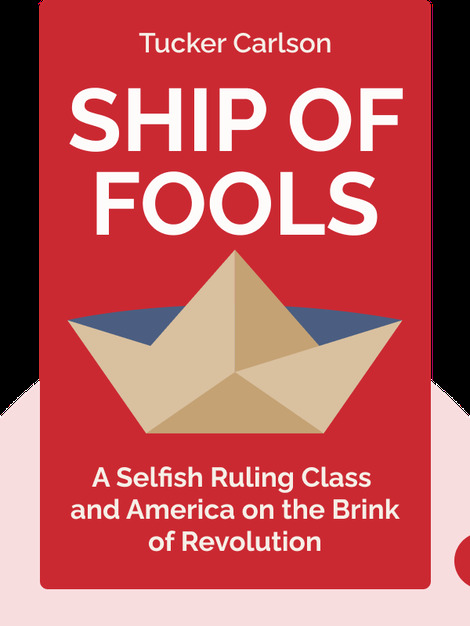 Ship of Fools (2018) delivers a provocative indictment of the political, cultural and economic elites of American society. 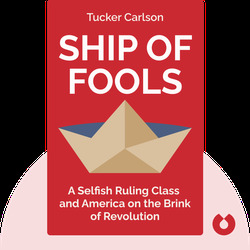 In it, Tucker Carlson presents his case for how the elites are responsible for a wide variety of issues, ranging from sexism and racism to poverty and immigration. Tucker Carlson is the host of Tucker Carlson Tonight, a talk show on the conservative Fox News Channel. He previously hosted shows on CNN, MSNBC and PBS, and he has also been a staff writer for the Arkansas Democrat-Gazette and The Weekly Standard. He was one of the cofounders of The Daily Caller, a conservative news and opinion website.